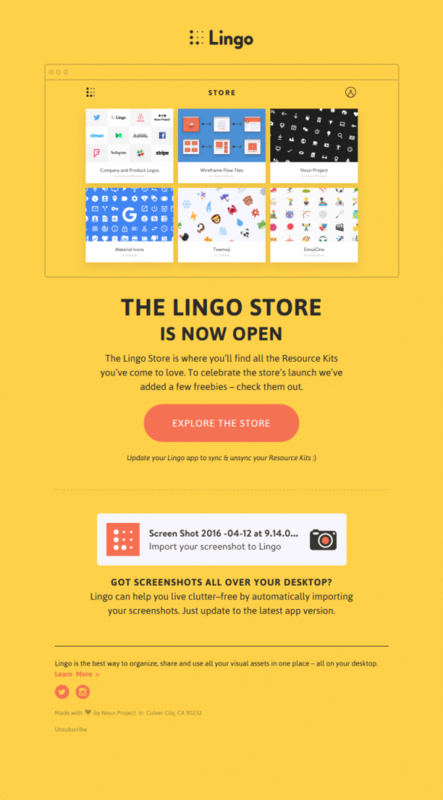 The Lingo Store is where you’ll find all the Resource Kits you’ve come to love. To celebrate the store’s launch we’ve added a few freebies – check them out. GOT SCREENSHOTS ALL OVER YOUR DESKTOP? Lingo can help you live clutter–free by automatically importing your screenshots. Just update to the latest app version. Very cool design congrats !